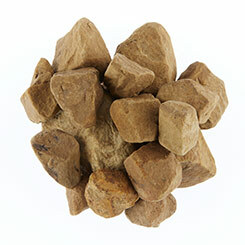 Soils and Stone sub-base are produced by crushing either limestone or granite rock. Whether a road or a pavement, the sub base is designed to evenly spread the load of traffic bearing areas such as pavements and roads. Made up of a load bearing layer of aggregate the sub base is laid on the sub-grade layer below. Why is primary aggregate aggregate used as a sub base ? A sub base layer works by distributing weight over an area. The interlocking capability of certain types of aggregates means that, even with a relatively thin sub base layer, the ability to carry heavy loads can be improved. 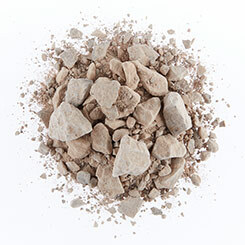 Soils and Stones supply high-quality sub-base limestone and granite aggregate including Type 1 SHW Clause 803 (formerly MOT Type 1) and Type 3 Open Graded SHW Clause 805. Read on to see our full product range. Soils and Stone supply Type 1 quarried primary aggregate to the Highway Agency’s Specification. 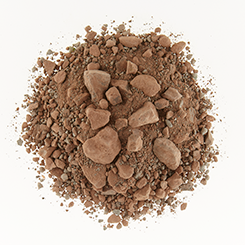 Type 1 is a granular, well-graded material sized from 63mm to dust, but with most of the material sized at 31.5mm to dust. Available both as a limestone or a granite, Type 1 SHW Clause 803 (formerly MOT Type 1) is widely used as a sub-base in the construction of roads, car parks and pathways. The mixture of stone and fines compacts to ensure minimal voids and provides a strong and durable sub-base. 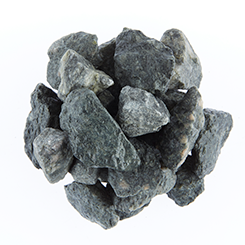 Type 3 Open Graded SHW Clause 805 is a pure crushed stone, ranging in size from 40mm down to dust, but with a reduced (not zero) fines content. Available both as a granite or limestone, Type 3 is widely used as a sub-base material for projects where a lower fine content is required for improved drainage. These include sports pitches, equestrian centres, driveway/hard standings and roads. Soils and Stone supply Type 3 Open Graded SHW Clause 805 quarried primary aggregate to comply with Highways Agency Clause 805 (SHW Clause 805). 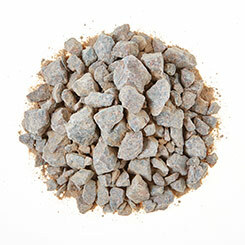 Available as either granite or limestone, this is a crushed stone with no fines that ranges in size from 40mm–75mm. When compacted, it provides a hard-wearing and well-drained sub-base for use in roads, paths, drainage ditches, sport pitches, etc. Available as either a granite or limestone, our 50mmm clean stone is screened to remove the fine content. When compacted it provides a hard-wearing and well-drained sub-base for use in roads, paths, drainage ditches, sport pitches, etc. Scalpings are typically used as a medium-quality backfill to structures or as a sub-base material for access paths, car parks and driveways. The can be used as an alternative to Type 1 SHW Clause 803 (formerly MOT Type 1) for light-use applications or where a lower load bearing capacity is acceptable.